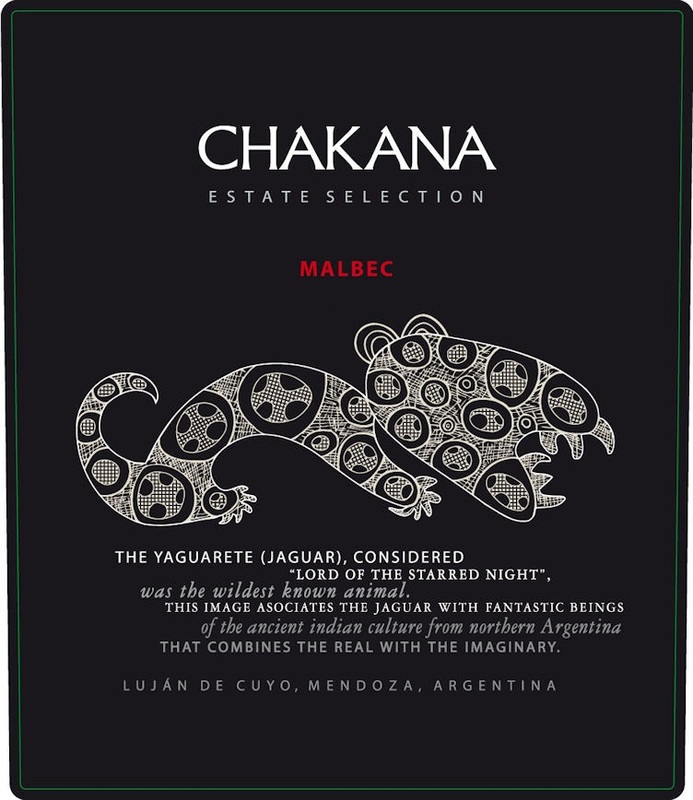 Chakana Estate Malbec is made from 100 percent Malbec. The color is deep purple, very intense, quite what you expect from Malbec. Plum, brambly berries, spices and an iris/violet note are apparent on the nose. Intense fruity flavors with velvety tannins. 80% is coming from the Agrelo's vineyards, which is mainly clay and brings a lot of freshness in the wine. Dark in the glass. A powerful nose of blackberry evokes the garrigue and spices aromas. Rounded with a silky texture. Ripe and extracted, with soft vanilla nuances are carried by a good length. A good combination of power, elegance and finesse.